Qantas’ half-yearly report is in and the results are fantastic. Qantas’ first-half profit increased 15% from last year to $975 million. 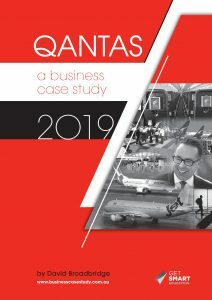 Qantas Domestic, Jetstar Group and Qantas Loyalty all had record results and Qantas International held its own despite some challenges like higher fuel costs, a competitive domestic market and international capacity growth. Further cost-cutting of $181 million which included hefty redundancies, route changes and aircraft retirements contributed to this outstanding result as well as revenue growth of 5.8%. This result was above the company’s earnings guidance and as a result, it’s share price increased by 9%. Qantas anticipates reporting a full-year profit of between 1.35billion to 1.4 billion. Qantas announced up to $500 million shareholder return made up of 7 cents per share dividend and on market buyback of $378 million. Qantas also announced that it would start taking delivery of the new Airbus A320 to renew its Jetstar fleet and that it would open a pilot academy in 2019 producing about 500 pilots a year to take advantage of the huge demand in air travel and pilots from Asia. CEO Alan Joyce was stoked and said that Qantas has some serious momentum moving forward. He is no doubt in line to score another huge bonus this year. In other news, the ACCC has given Qantas and Emirates the initial go-ahead for another five years of partnership. Source: Qantas posts record interim profit, promises $500m shareholder bonanza by Patrick Hatch SMH 22/2/18, Fresh Qantas buyback after 15% profit lift by Stuart Condie The Australian 22/2/18. David Broadbridge holds a Bachelor of Commerce at the UNSW and a Dip Ed at UNE. He is the former Head Business Studies teacher at Pymble Ladies College. Follow David on Twitter or read his Qantas News Blog.